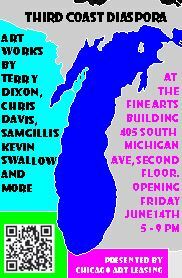 You’re invited to the Fine Arts Building on Friday, June 14, 2013, for our monthly Open Studios. A wide variety of artists make their work here in The Fine Arts Building, from established professional artists to emerging artists. Talk to the artists in their studios and visit gallery openings, fine crafts studios, musicians, and alternative businesses. Browse the book and music stores, then stay for dinner or a drink in the first-floor café. Open Studios are held the second Friday of every month.